Located at the southern tip of the Malay Peninsula, Singapore, fondly called as the Lion City is one of the favourite tourist destinations for Indians. A perfect blend of Chinese, Malay and Indian cultures, this small island city-state is known for its splendid natural attractions, high-end shopping malls, delicious food and an exciting nightlife. Some of the must visit Singapore Tourist Places are Marina Bay Sands, Sentosa Island, Night Safari, Universal Studios, Gardens by the Bay, Merlion Park, Singapore Zoo and the Singapore Flyer. To travel and experience the warm hospitality of this beautiful Asian country as part of Singapore Packages all the Indian nationals need to apply for Singapore Tourist Visa. Check here is the detailed Singapore Visa guide for Indians. Known for its cleanliness, non-corrupt governance, high-end shopping malls, luxury hotels, various tourist attractions, delicious cuisine and nightlife, Singapore attracts nearly 1million tourists from India annually. With such an impressive influx of Indian tourists, Singapore government has made the visa process simpler by allowing Indians to get Singapore visa online for tourist or visiting purpose. Do remember that one need to apply for a Singapore Visa at least 30 days prior to the intended date of arrival in Singapore. There are two types of Singapore visas for Indian tourists. The Tourist Visa (ETA) and Transit Visa are the most popular ones and these visas can be applied online through authorized visa agents in India. Indian nationals holding official and diplomatic passports are exempted from the entry visa requirement. 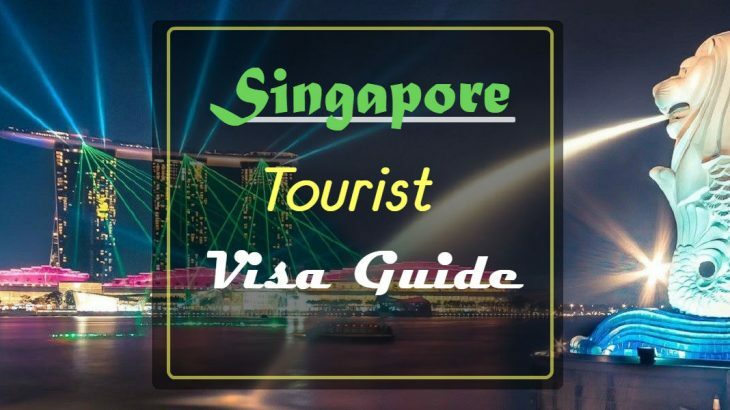 Indian nationals who want to visit Singapore as a tourist for a short term period of 30 days need an e-Tourist visa in the form of an ETA (Electronic Travel Authorization). With the process of applying for a visa entirely online, Indian tourists need to submit their applications to an authorized visa agent as the Singapore High Commission does not accept individual walk-in applications since 2009. One can download the Singapore visa application form from www.ica.gov.sg or obtain one from any of the authorized travel agents. All visa applicants are required to fill the attached visa application form 14 A in full. If you have a local sponsor in Singapore with a SingPass account, he or she can submit your visa application online on your behalf. Applicants whose application has been approved can have their e-Visa printed by the authorized visa agents. Do remember that one need to apply for a Singapore Tourist Visa at least 30 days prior to the intended date of arrival in Singapore by paying S$ 30, which is non-refundable. Apart from that, authorized visa agents charge an additional amount of Rs.300 as a service fee. It is a multiple entry visa and has validity for a period of up to 2 years, but it allows individuals to stay in the country for a maximum of 30 days. The duration of stay is determined by ICA officers on duty at the respective checkpoints. The Singapore High Commission and Immigration & Checkpoints Authority Singapore normally takes 3 working day to process the application after all relevant documents have been duly submitted by the authorized visa agent. Apart from Tourist Visa, India nationals are also eligible for obtaining a 96-hour Visa Free Transit Facility (VFTF). Indian nationals only who are in transit to or from any third country by air are eligible for this VFTF for one transit in the itinerary either forward or return journey, but not both. To avail VFTF, transit travellers who satisfy the criteria for VFTF will have to meet the prevailing entry requirements which are assessed by the Immigration and Checkpoints Authority (ICA) officers at the point of entry in Singapore. Assessment for entry is determined by the Immigration & Checkpoints Authority (ICA) officers at the point of entry. Extension of stay for transit travellers under the VFTF is strictly not allowed. All, Destinations Singapore, Singapore Packages, Singapore Tour, Singapore Tour Packages, Singapore Tourist Visa, Singapore Visa. permalink.